Live at Undershaw and worldwide online! 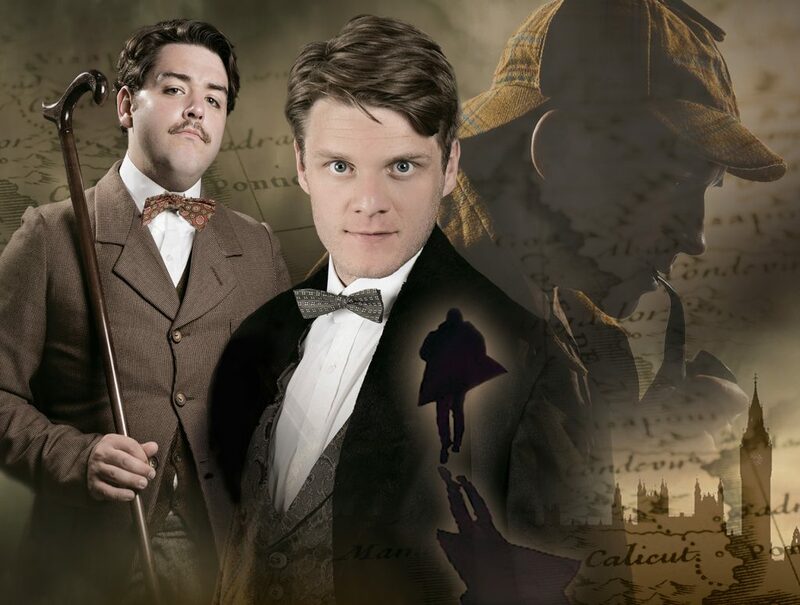 Join us for a special Sherlock Holmes event being hosted from Undershaw, the former home of Sir Arthur Conan Doyle and now the home of Stepping Stones School. One hundred guests will join us in person, with 400 additional tickets for fans to join online from anywhere around the world – online fans will be able to participate in the debate by live chat. We meet the fifteen artists that have created incredible new pieces of Sherlockian art for The Art of Sherlock Holmes and have an exclusive first look at the art live. Sherlock Holmes holds the world record for the character most portrayed on screen – but have we gone too far? There are dozens of adaptations and Sherlockian experts from around the world have 1 slide and 90 seconds to defend a Sherlock adaptation. 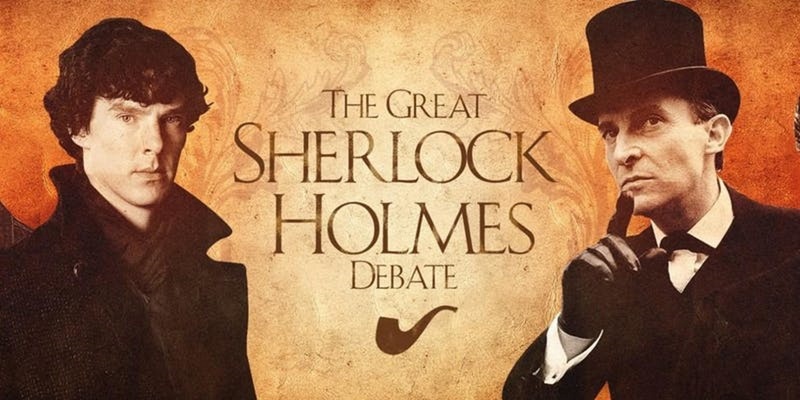 BBC Sherlock, Elementary, Granada Studios, Warner Brothers, Sherlock Gnomes, Pokemon Sherlock, Will Ferrell Sherlock and many others will be argued for and against! 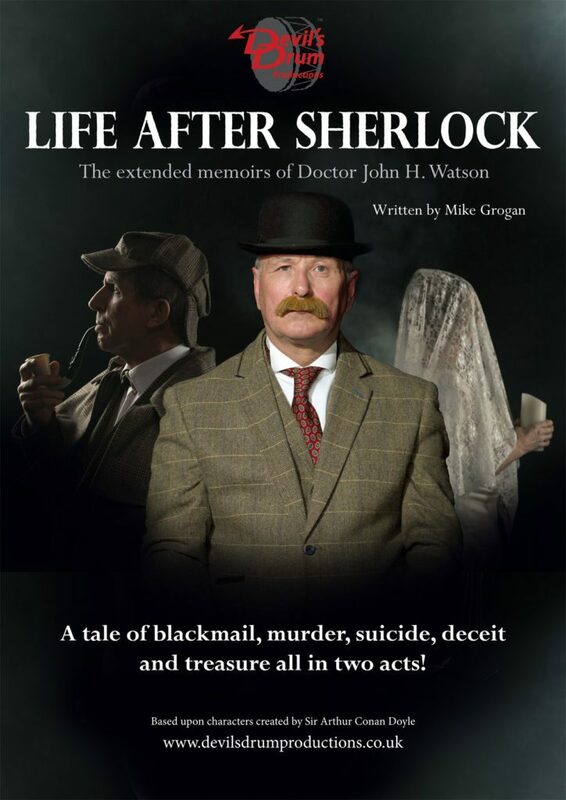 Featuring Lyndsay Faye, Bonnie MacBird, Amy Thomas, Mattias Bostrom, Jay Ganguly, Mary Platt, Dan Andriacco, Derrick Belanger , Janina Woods and many more of the world’s leading Sherlockians. Wrap-up and favourite fan comments from the online fans. 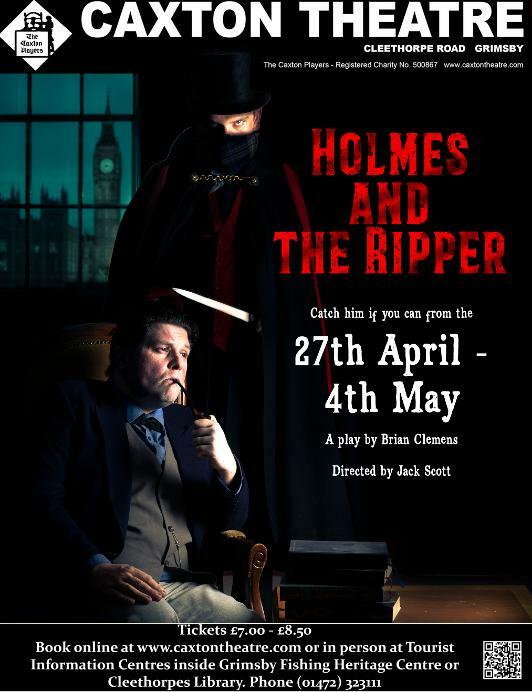 Ben Cardall is the UK’s leading deductionist and will be performing a live feat. Anyone who has seen Ben live will know that it’s impossible to guess what treat he will have in store for us – just that it will be amazing. * $100 of books of your choice from sherlockholmesbooks.com. * A signed item from the original BBC Sherlock set (signed by the head set designer). * A personal tour of Sir Arthur Conan Doyle’s Home, Undershaw including photo sitting in his study where he wrote many of the Sherlock Holmes stories. * Original Benedict Cumberbatch painting by a Sherlockian artist. * A programme from the Royal Shakespeare Company’s ground-breaking production of William Gillette’s play Sherlock Holmes at the Aldwych Theatre in 1974, signed by the late Tim Pigott-Smith at the Sherlock Holmes pub, during filming for the BBC TV documentary Timeshift: How to Be Sherlock Holmes. Tim was Dr Watson in the play and in 1986 starred as Holmes in The Valley of Fear on BBC Radio 4. * A mint copy of The Wit and Wisdom of Sherlock Holmes: Humorous and Inspirational Quotes Celebrating the World’s Greatest Detective. * A mint copy of The Sherlock Holmes Miscellany by Roger Johnson & Jean Upton, foreword by Gyles Brandreth, signed by the authors. Ticket proceeds will go to Stepping Stones School and Happy Life Children’s Home.